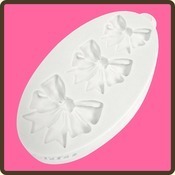 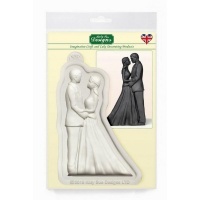 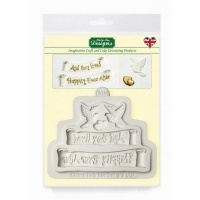 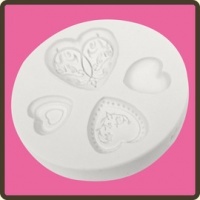 Cake topper mould, highly detailed set of three bells in three sizes, perfect for christenings or baby showers. 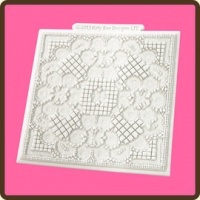 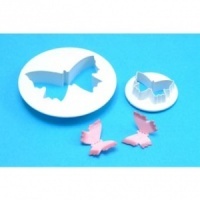 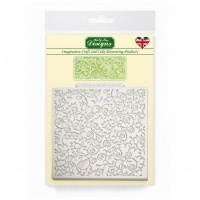 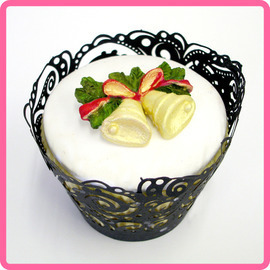 Can be made simply by using coloured fondant or you can create a mini work of art by painting. 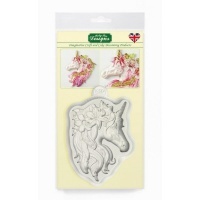 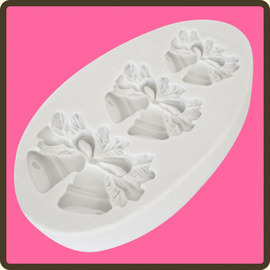 This cupcake topper mould is made with FDA compliant food grade silicone and can be used for sugar, flower and modelling paste, marzipan, chocolate plus salt dough, air drying clay and embossing powders. 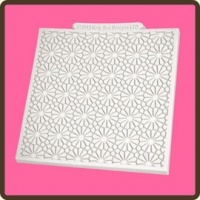 Height 0.7" x Width 1.1" x Depth 0.4"
Height 0.9" x Width 1.2" x Depth 0.4"
Height 1.1" x Width 1.6" x Depth 0.4"